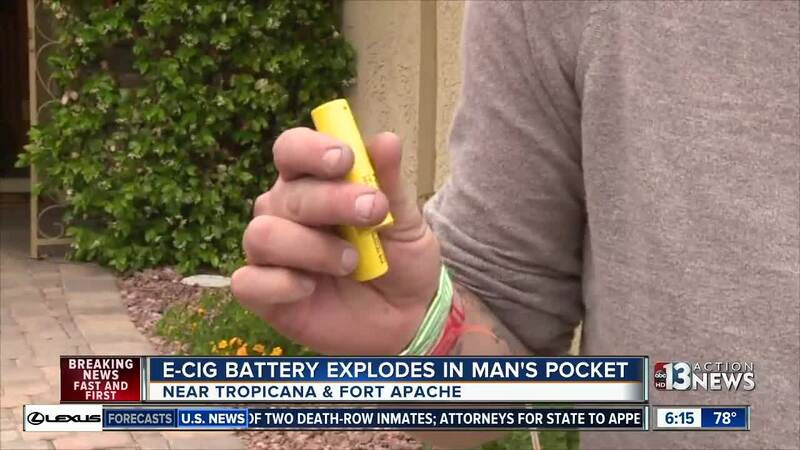 A Las Vegas man is recovering from second and third degree burns caused by the explosion of an e-cigarette battery. Matthew Beard was walking through Walmart near Fort Apache Road and Tropicana Avenue on Sunday when he heard a strange noise. "It sounded like somebody had taken a soda pop can and threw it on the ground," Beard said. "Next thing I know I see a flame coming from my shorts." Beard was forced to take off his clothes to get the flames under control, but the fire had already scorched his leg and hand. "It feels like literally someone just has a lighter on my leg and they won't take it off," Beard said. 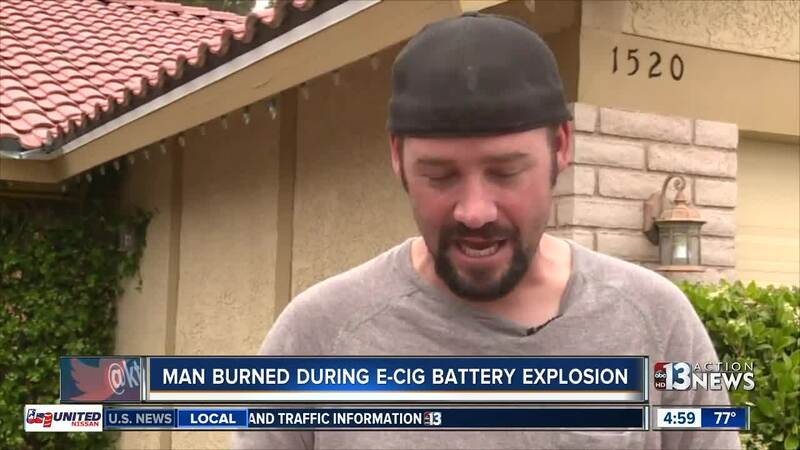 Beard was carrying two lithium ion batteries designed for an e-cigarette, or vape, in his pocket when the explosion happened. Similar explosions have happened all over the country, including one at McCarran International Airport just last week. This week, the U.S. Food and Drug Administration is planning to specifically discuss the safety concerns surrounding e-cigarette batteries.